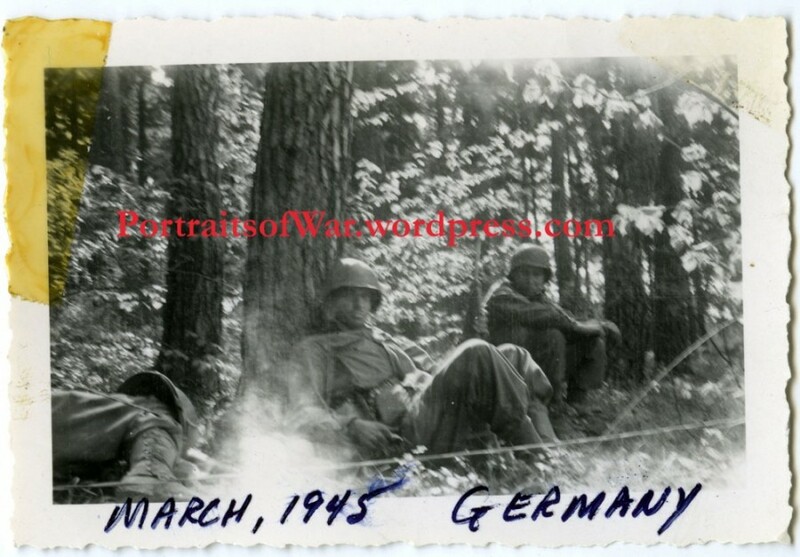 I recently purchased a mystery grouping of WWII photos off my favorite internet auction site and stumbled across the wonderful story of Earl Reese and his wartime experiences while with the 99th “Checkerboard” Division during WWII. 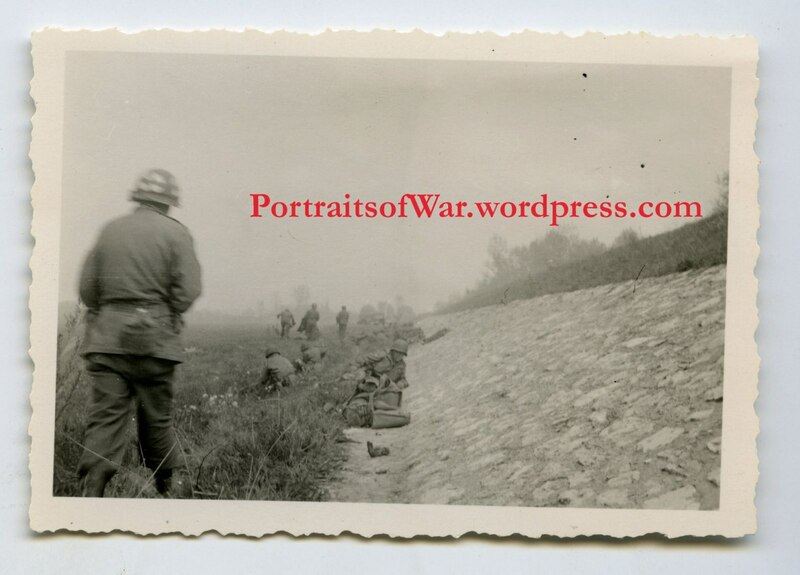 The full story starts out on a sad note, but I hope to honor Earl and his life achievements by publishing his story here on PortraitsofWar. 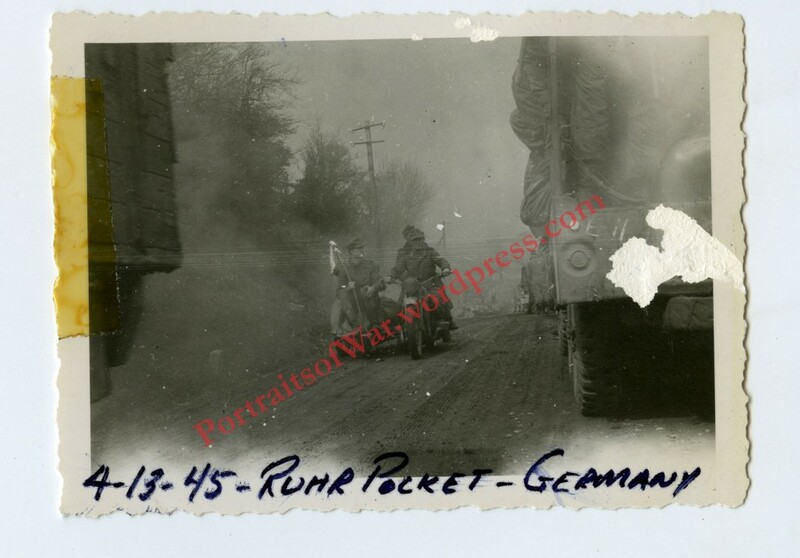 After purchasing a grouping of 50+ images from an eBay dealer back in April, I became interested in the details pertaining to the man who took the photos. 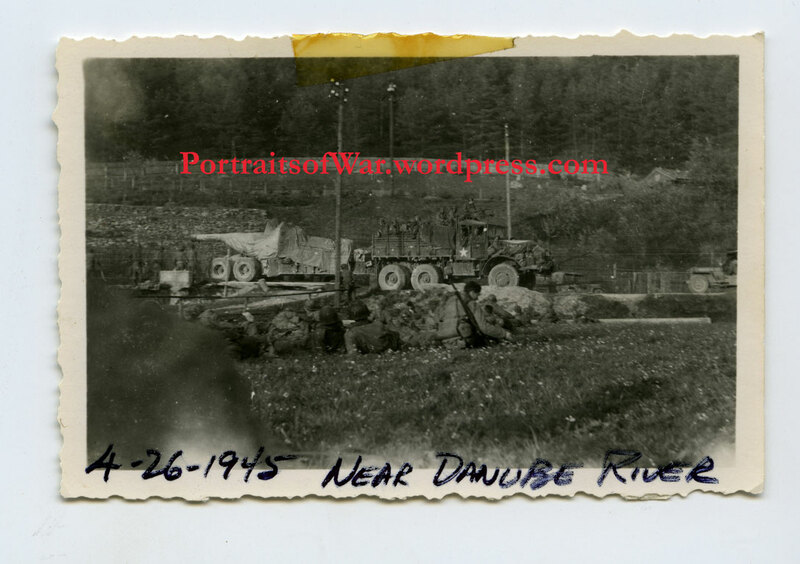 He had a knack for writing blurbs on the back of photos, something not many soldiers did at the time. The content was first rate; the unknown soldier seemed to be in a front line unit that saw a good amount of action. 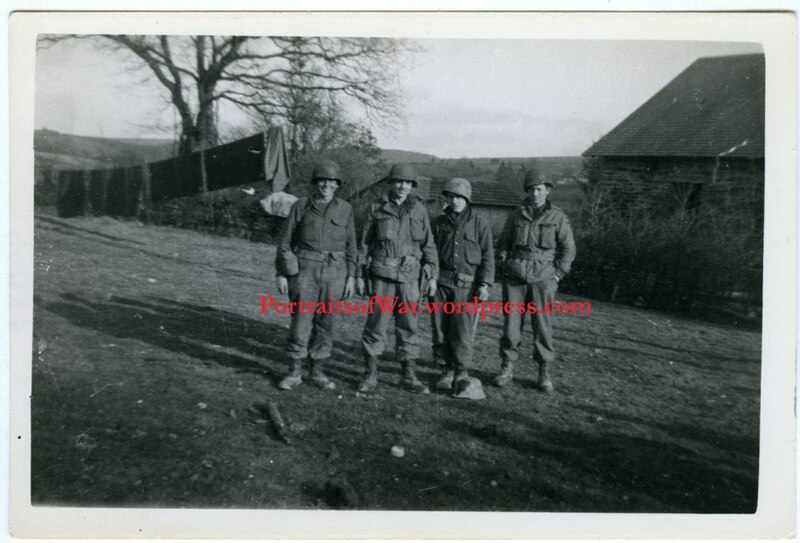 I contacted the seller in hopes of finding some additional information to help me piece together the identity of the unknown GI. I’ve done this in the past with varying amounts of success. Most of the time the seller knows nothing about the photos, or maybe only a first name or general geographical area the fellow was from. In this case, the seller had a small treasure trove of information about the soldier. After attending an estate sale in Santa Barbara the friendly eBay seller was rummaging around through some paper bins outside and found the life memoirs and photos of Mr.Reese. 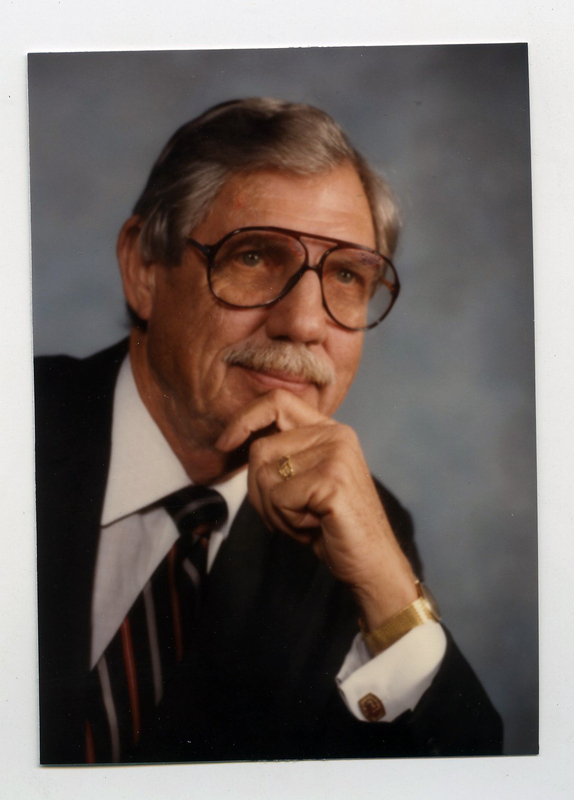 Some family member or estate executor threw away the entire life work and memories of Earl! He generously sent me the complete memoir manuscript and photo collection as a gift. 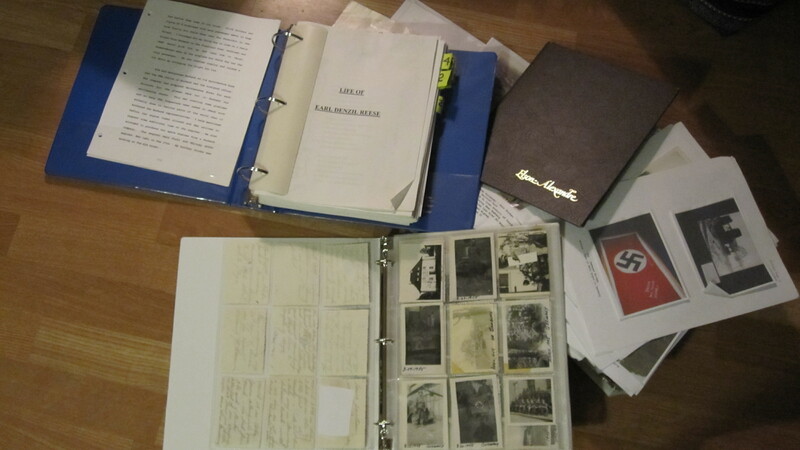 I plan on digitizing the wartime section of the memoirs, which constitute three or four chapters of the 30+ volume. 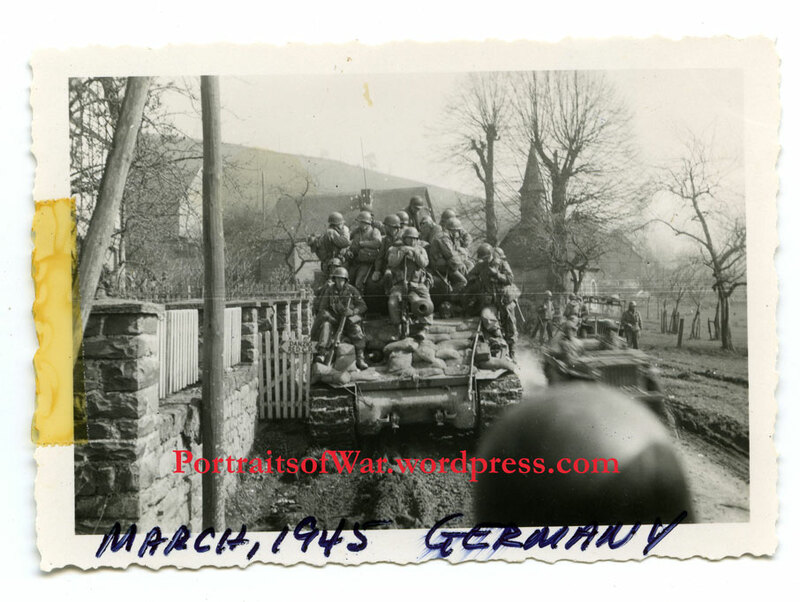 Hi, I believe I see my father (a medic in the 99th Infantry, 395th regiment) is pictured with 3 other men in one of the photos above (the shot that appears below “riding tanks” and above “crossing the Danube combat.” He is not wearing a medic’s emblem in the shot, but believe I recognize his face and body posture. He’s third from the left, shortest in the shot. 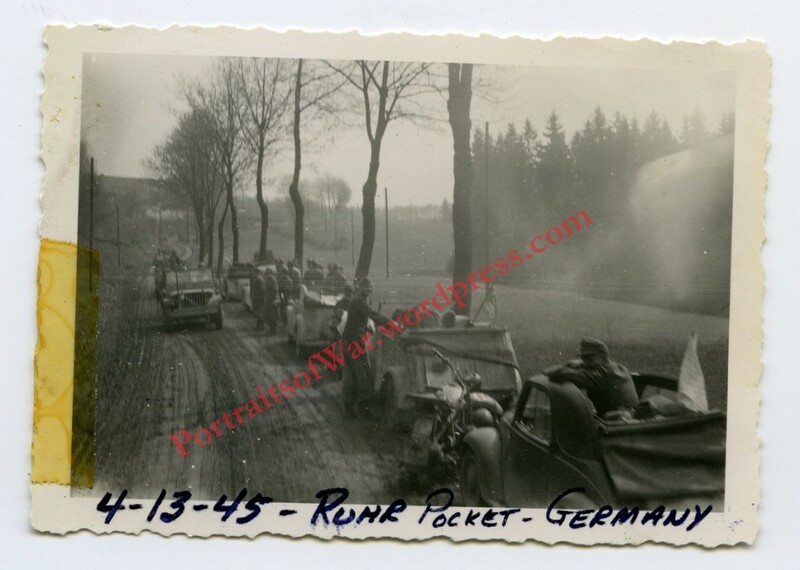 Would love to know if anything is noted on the back as to location and people phictured, and would also be interested in reading the content of the notebook written by Earl. Hello my grandpa is the last man to the right of the 3 men in the photo. 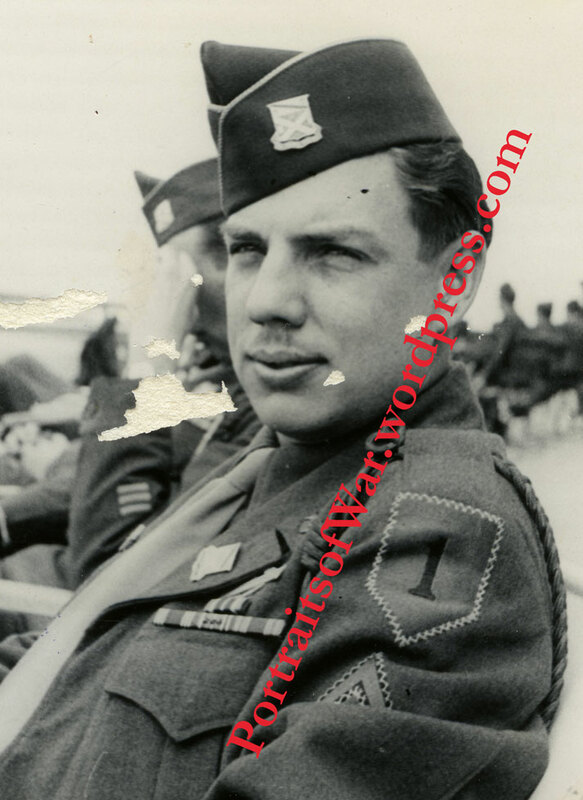 He was in the 99th division 395th Inf Co G. He passed away in 87 his name is Nicholas N Bochy . 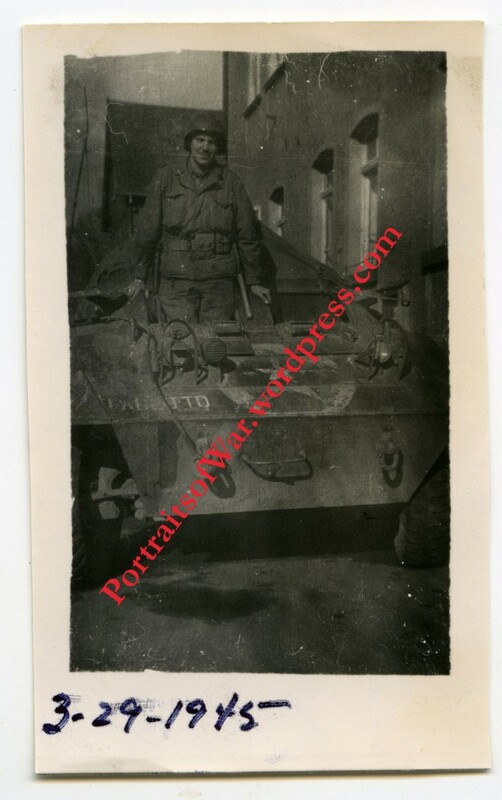 I have a big picture of him and all of Co G 395th Inf. I would appreciate any more info having to do with him and the pic or anything else pertaining to him or Co G 395th. Thank you. Thats my gramps the last man on the right. Nicholas N Bochy. 99th INF div 395th if Co G.